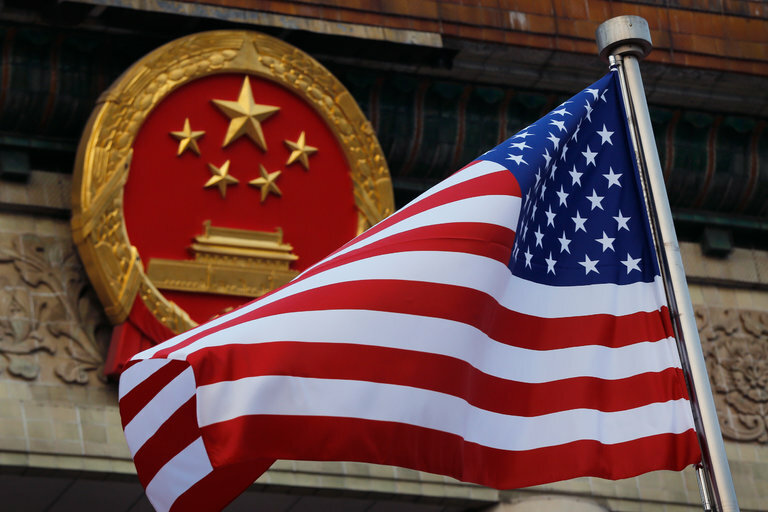 With all the focus on Russian meddling in the 2016 election, the damage done by China’s vigorous and continuing espionage against the United States has taken a back seat. 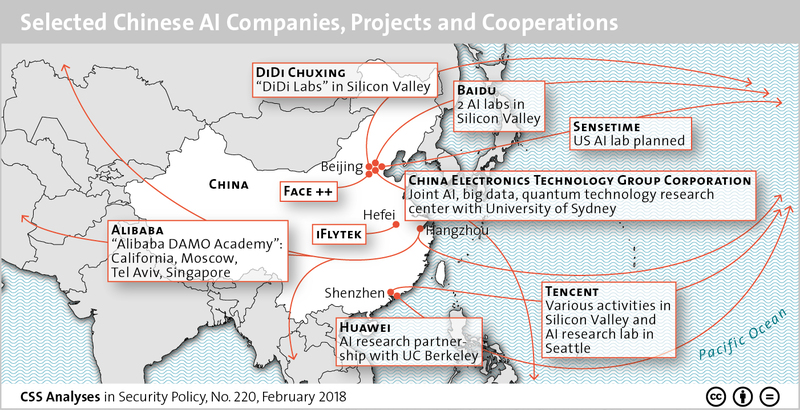 The preoccupation with Russia, in fact, has obscured the significant inroads made by Chinese intelligence and cyberspies. In some cases, China has proved more skillful than Russia in infiltrating American intelligence. A case involving a former C.I.A. officer named Jerry Chun Shing Lee is a perfect example. Beginning in 2010, C.I.A. sources in China began disappearing; a dozen were reported executed and several more imprisoned. What had seemed a major success in establishing a network of C.I.A. spies inside China had been turned into a devastating intelligence failure. The C.I.A. and F.B.I., suspecting a mole, went on a secret hunt. The Pentagon's Nuclear Posture Review outlines a new 'tailored deterrence' policy that seeks to persuade Chinese leaders to avoid miscalculations – provocative action in the South China Sea, or hostile activity related to Taiwan or Japan – that could escalate into war. Chinese soldiers stand guard in front of a model of a nuclear warhead in a nuclear lab in China's northwestern Qinghai province. Russia’s leader Vladimir Putin unveiled several new nuclear weapons last week in a replay of the Cold War. China, meanwhile, is continuing a similar buildup of high-technology strategic nuclear forces that remains largely hidden from view. What makes China’s citizens so thrifty, and why does that matter for China and the rest of the world? The country’s saving rate, at 46 percent of GDP, is among the world’s highest. Households account for about half of savings, with corporations and the government making up the rest. Saving is good, right? Up to a point. But too much saving by individuals can be bad for society. That’s because the flip side of high savings is low consumption and low household welfare. High savings can also fuel excessive investment, resulting in a buildup of debt in China. And because people in China save so much, they buy fewer imported goods than they sell abroad. That contributes to global imbalances, according to a recent IMF paper, China’s High Savings: Drivers, Prospects, and Policies. The country’s authorities are aware of the issue and are taking steps to address it. 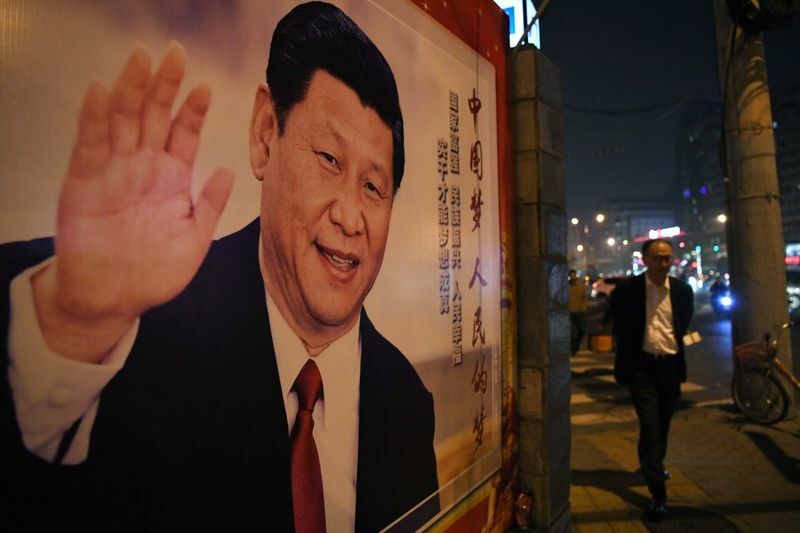 In a season of political shocks, President Xi Jinping’s assumption of supreme power has still managed to startle many longstanding observers of China. The Economist magazine dramatically declared, “The West’s 25-year bet on China has failed.” Instead of moving towards democracy, these voices suggest, China is sliding further into authoritarianism. It’s worth asking, if for no reason than to avoid more such shocks in the near future, why the “West” placed this bet on China at all. Will Presidents Trump and Xi, or their successors, follow in the tragic footsteps of the leaders of Athens and Sparta or Britain and Germany? In his new Gelber Prize-nominated book, Allison says the omens are not good. In the run-up to the awarding of the Lionel Gelber Prize, the National Post presents excerpts from all five nominated books. The winner will be announced on March 13 and give a free public lecture on April 17, 2018 at the Munk School of Global Affairs. Today: Graham Allison on the historical signs that war between the United States and China is likely in the years to come. We live in a world of trouble. Conflicts today may be much less lethal than those that scarred the last century, but this brings little comfort. We remain deeply anxious. We can blame terrorism and the fear it inspires despite the statistically unimportant number of casualties it inflicts, or the contemporary media and the breathless cycle of “breaking news”, but the truth remains that the wars that seem to inspire the fanatics or have produced so many headlines in recent years prompt deep anxiety. One reason is that these wars appear to have no end in sight. Since late 2016 there have been frequent accusations of Russia interfering in American elections. This was accomplished by using government directed messages to be posted, on a massive scale, in social media and other online sites. One aspect of this that didn’t attract much media attention was that this technique, and its use by foreign governments in the United States, was nothing new. This sort of thing has been widely used on the Internet for over a decade and for generations before that there was “astroturfing” (creating fake “grass roots” support with a variety pre-Internet techniques) and more lavishly funded Soviet efforts called dezinformatsiya (disinformation) operations. Time For a Trade War? After a particularly… volatile week in the White House of Donald Trump, the administration announced March 1 trade tariffs of 25% on steel and 10% on aluminum. Countries near and far almost immediately announced plans for counter-tariffs on American goods. Many, most notably the American president himself, are now openly talking about a global trade war. Trump went so far as to tweet “trade wars are good, and easy to win.” Anti-Trump reactions among the media, corporate world and global elite has been – in a word – acidic. Similarly, markets haven’t exactly taken news of a potential trade conflict with a ringing endorsement. Vladimir Putin devoted one-third of his March 1 state of the union speech to new Russian weapons systems, particularly nuclear weapons that could strike the United States. What he said is worrisome, in part because it suggests he remains obsessed with things nuclear at a time when U.S.-Russian relations are already tense. Remember, however, that the Russian presidential election takes place on March 18. Mr. Putin aimed his speech primarily at his domestic audience. With little to offer to improve the life of the average Russian, he opted to hype the American threat, show some shiny new missiles, and portray himself as defender of the Russian motherland. Here are some valuable insights into what productive unicorns do during their work week, and how they are way different from busy donkeys, inspired by Conor Neill. Busy people are hell-bent on fitting in more things into their day. Productive people cut their to-do list thoughtfully by 50 percent. Busy people think that getting more things done in the sanctioned eight or nine hours at work is the way to go. They fit in too many tasks in their to-do list only to end up moving most of their tasks the next day. Productive people know too well that they do not need 40 tasks in their to-do list. They take a less-is-more approach when it comes to planning their work day by only accomplishing those that are important. 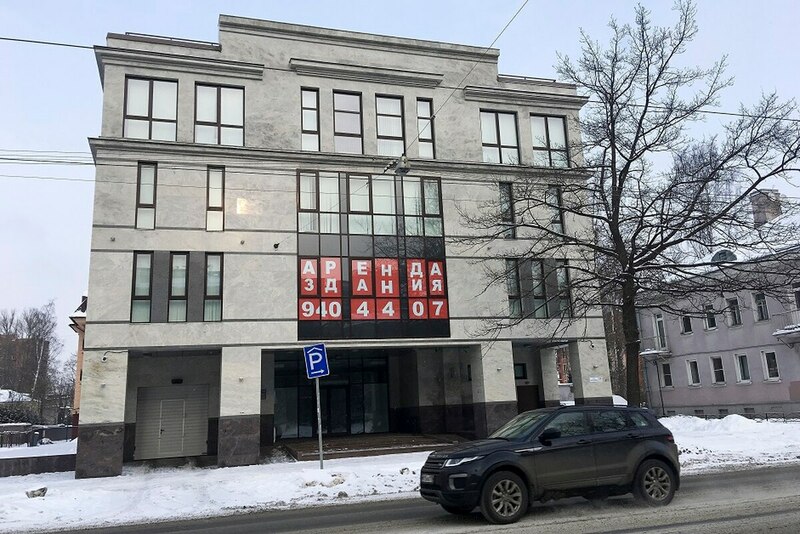 ST. PETERSBURG, Russia — One tried his hand at standup comedy. Another wrote a psychological dissertation about loneliness among the elderly. A third, from eastern Siberia, studied economics and wildlife management, and was known to his work colleagues by the unlikely nickname of “Jay Z.” They are among the 13 Russians indicted by a grand jury in Washington in a sweeping conspiracy to defraud the United States and its political system, including the 2016 presidential election, via bogus social media posts and other “information warfare.” The indictment said they sought to support the campaign of Donald Trump and disparaged Hillary Clinton. Why is America letting Russia get away with meddling in our democracy? The most remarkable thing about Russia’s meddling in our democracy is that President Trump has done nothing about it. There are plenty of steps that he could have taken. There are people, including some working just steps away from the Oval Office who could have—and may have—advised him what to do. But Trump chose inaction. According to Monday’s New York Times, the State Department was allotted $120 million in the past two years to counter Russia’s “information warfare” against the West, but not a dime has been spent, in part because the office that runs such programs has no Russian speakers or computer experts, but mainly because Secretary of State Rex Tillerson has imposed a hiring freeze. The Treaty of Lisbon, which came into effect in 2009, introduced the “Permanent Structured Cooperation,” also known as PESCO, as a “specific CSDP flexibility mechanism,” for EU member states to increase their defense cooperation and mutual-security commitments. Article 42(6) of the Treaty on the European Union now states that “Those Member States whose military capabilities fulfil higher criteria and which have made more binding commitments to one another in this area with a view to the most demanding missions shall establish permanent structured cooperation within the Union framework.” The permanent structured cooperation clause allows for differentiated integration on military and defense matters among EU member states. In other words, it allows for a cluster of EU states to create a common-defense policy. Russia’s March 2018 election will mark the arrival of the post-Putin era in Russian domestic politics. Following the vote, Vladimir Putin will focus on shaping the new era, in a process he views not as a search for a successor but as a transfer of power from his generation to the “Putin generation” (comprising politicians who came of age during, and have been shaped by, his rule). Meanwhile, the behaviour of Russia’s major political and economic players will be defined not by the president’s presence in the system but by the expectation of his departure. Despite widespread expectations that the regime will undergo a major transformation, it is unlikely that post-Putin Russia will be an anti-Putin Russia. Moscow will likely maintain its current foreign policy objectives even after Putin’s exit from the Kremlin, but without him Russia will probably be a weak international player. There is no doubt that information warfare plays a fundamental role in today’s economy and society. Furthermore, its importance has led to the emergence of a new form of conflict and therefore led to a change in reasoning. 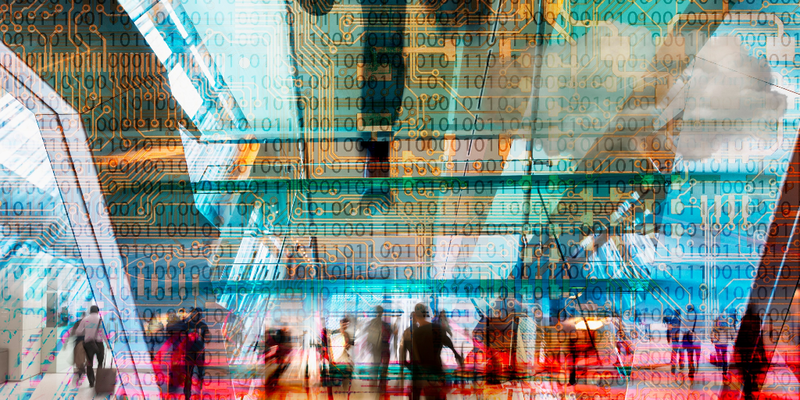 Our highly-digitalized economies and society obviously present significant windows of vulnerability linked to the fact that the modern economic system cannot but be open and fluid. At any rate, the concept of information warfare – as is widely known – emerges primarily from American publications and emerges in the moment in which the legitimacy of information has been placed under discussion in the American context. Required to deal with significant budget cuts, the leading US federal intelligence agencies have attempted to justify the preservation of their budget by emphasizing the importance of protecting the nation’s economic security; and yet as early as the 90s, it had become clear that the logics of conflict present in the geopolitical sphere have been transferred to the context of the economic sphere in which nations must be capable of implementing strategies of dominance based on the control of both the information infrastructure and the flows of technological and economic knowledge. The French statesman Talleyrand famously observed about the Bourbons, “they had learned nothing and forgotten nothing.” Something similar might be said about New York Times columnist Thomas Friedman. Once upon a time he was the avatar of a new age of economic interdependence that would lead to global peace. No two countries that each had a McDonald’s, he wrote, would ever go to war with each other. Then came the Balkans Wars in the 1990s. So much for the flat and interdependent world that Friedman purported to have discovered. 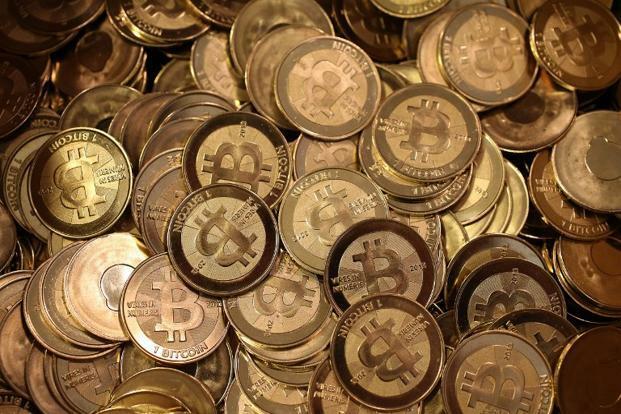 Predictions that bitcoin and other cryptocurrencies will fail typically elicit a broader defence of the underlying blockchain technology. Yes, the argument goes, over half of all “initial coin offerings” to date have already failed, and most of the 1,500-plus cryptocurrencies also will fail, but “blockchain” will nonetheless revolutionize finance and human interactions generally. In reality, blockchain is one of the most overhyped technologies ever. For starters, blockchains are less efficient than existing databases. The required storage space and computational power is substantially greater, and the latency higher, than in the case of a centralized application. Blockchains that incorporate “proof-of-stake” or “zero-knowledge” technologies require that all transactions be verified cryptographically, which slows them down. Blockchains that use “proof-of-work”, as many popular cryptocurrencies do, raise yet another problem: they require a huge amount of raw energy to secure them. This explains why bitcoin “mining” operations in Iceland are on track to consume more energy this year than all Icelandic households combined. 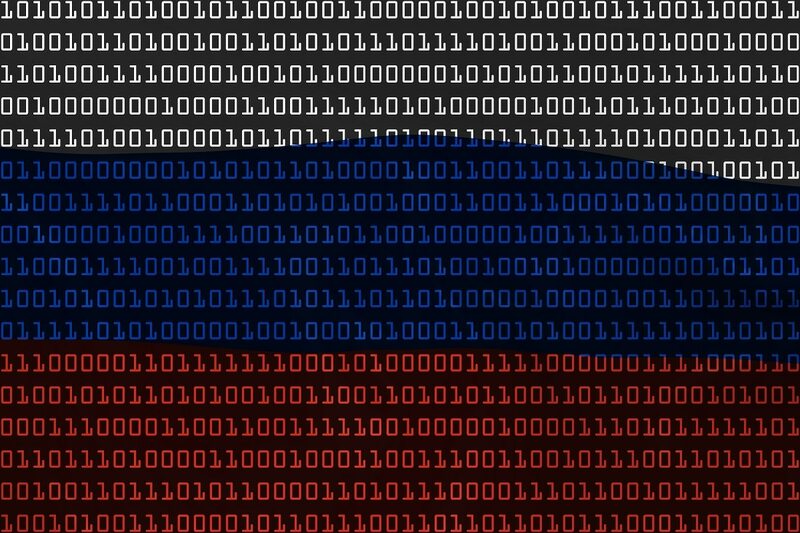 The fact that Russia’s aggressive cyberattacks are primarily meant to undermine the cohesion of Western societies and our partners — and above anything else create division and a rift within both NATO and the European Union — clearly stands out as a concern from this year’s Munich Security Conference. The Russians are masters of distorting reality. One of the more bizarre episodes occurred when U.S. national security adviser H.R. McMaster was asked by a Russian expert if it was time to restart dialogue on cyber with reference to the high number of cyberattacks targeting Russia that allegedly originated in the United States, saying that only a few cyberattacks targeting the U.S. originated in Russia. While observing his dismounted squad’s every action through terminals via their body camera feeds, Lieutenant Gorman, from the safety and security of his infantry-fighting-vehicle-based command post, issues the following orders as his squad executes a mission and encounters the Xenomorphs. “I want a straight ‘V’ deployment, second team on the left flank.” ... “Watch your spacing” … “What is that?” … “Proceed inside” … “Look. We can’t have any firing in there. I, uh, I want you to collect magazines from everybody.” … “Flame units only. I want rifles slung” … “Just do it Sergeant. And no grenades.” Following the order, the Sergeant collects the ammunition for each squad member’s primary weapon due to concern for damaging the facility. “Who’s firing? God dammit, I ordered to hold fire.” Shortly after the Xenomorph attack, the Lieutenant loses control of his squad while trying to command and control the squad, through terminals via body camera feeds, from the safety and security of his infantry-fighting-vehicle-based command post. 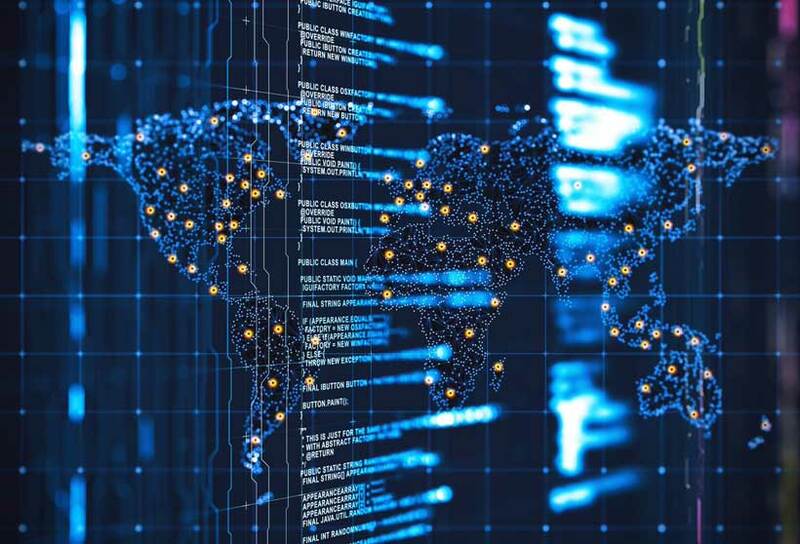 Bottom Line: In the digital age, determining the origins of cyberattacks is already difficult, but cyber actors can further muddy attribution by diverting blame for attacks to others. The intention is not necessarily to trick intelligence services – who are able to access information beyond technical forensics of the hack – but rather undermine public confidence in attribution and therefore undercut political will to respond to belligerent activity in cyberspace. This appears to be the motivation behind Russian hackers imitating North Korean hackers when attempting to disrupt the opening ceremony of the Winter Olympics in Pyeongchang, according to the Washington Post. “It’s not going to be an 800-person command,” Army undersecretary Ryan McCarthytold reporters. The plan is to “lease….a couple floors in a high-rise, as opposed to a massive building that we own.” As technology and the economy changes, he added, the command may well need to move “10 to 15 years from now.” The new HQ, he emphasized, needs to be small, unbureaucratic, and able to blend in to the hoodies-and-sneakers culture of civilian innovators from both the private sector and academe. 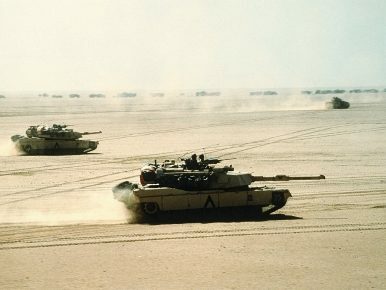 The Gulf War, codenamed Desert Storm, ended on February 28 1991 with the overwhelming victory of a coalition of states, spearheaded by the United States, against Iraq. In a Blitzkrieg-like ground assault, preceded by an extensive aerial bombing campaign, the United States and its allies expelled Iraqi forces from Kuwait, killing 25,000-50,000 Iraqi soldiers and wounding over 75,000, while losing 292 killed and 467 wounded in action. It remains one of the most one-sided military victories in history. Rather than a modern battle between roughly evenly matched opponents, the Gulf War shares more in common in its outcome with, for example, the British defeat of the Mahdist forces at Omdurman, Sudan in 1898 during the heydays of European Imperialism, where the British killed and wounded over 25,000 against 48 dead and 382 wounded of their own.